After all the dedication and hard work, your life now takes a new and exciting path! This stunning gift for graduates will inspire every time they sip their morning coffee. 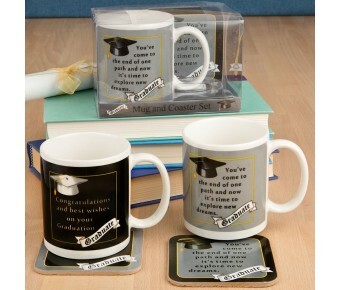 Our 11 oz coffee mugs are made from quality ceramic and feature two heartfelt messages for graduates. The first is designed in grey with black and white and reads 'You've come to the end of one path and now it's time to explore new dreams'. 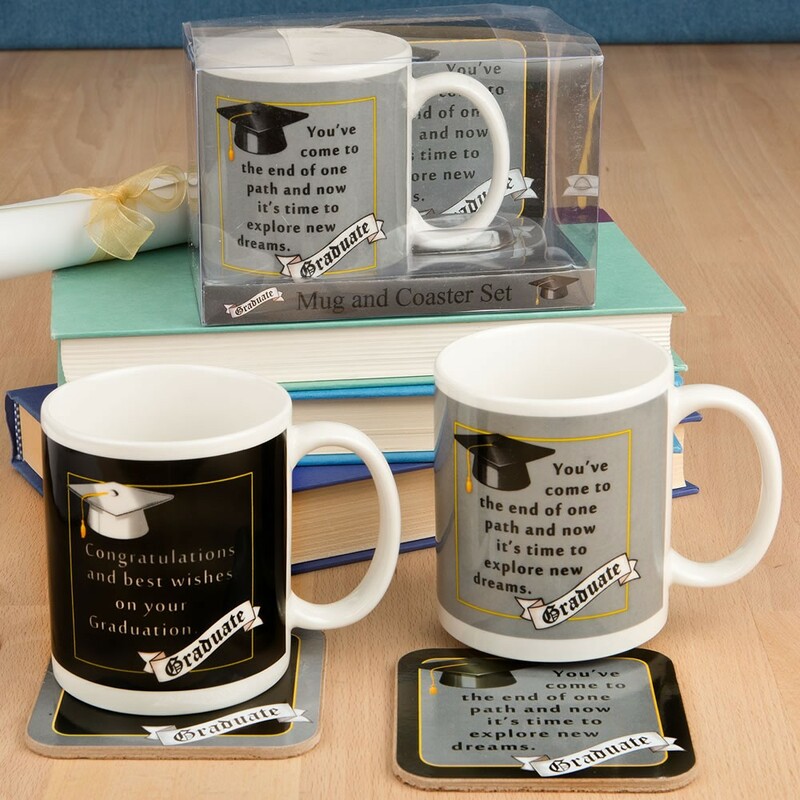 The second design is black with grey and white and reads 'Congratulations and best wishes on your Graduation'. These mugs come in a set, each with a coaster made from cork which matches the mug in the same design. 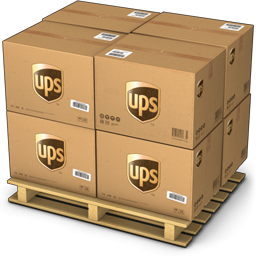 Don't miss out on displaying these classy mug sets on your shelves. They make fabulous gifts, offering congratulations to new graduates and inspiring them for the future! A thoughtful and heartfelt gift for a graduate that they can make use of everyday!